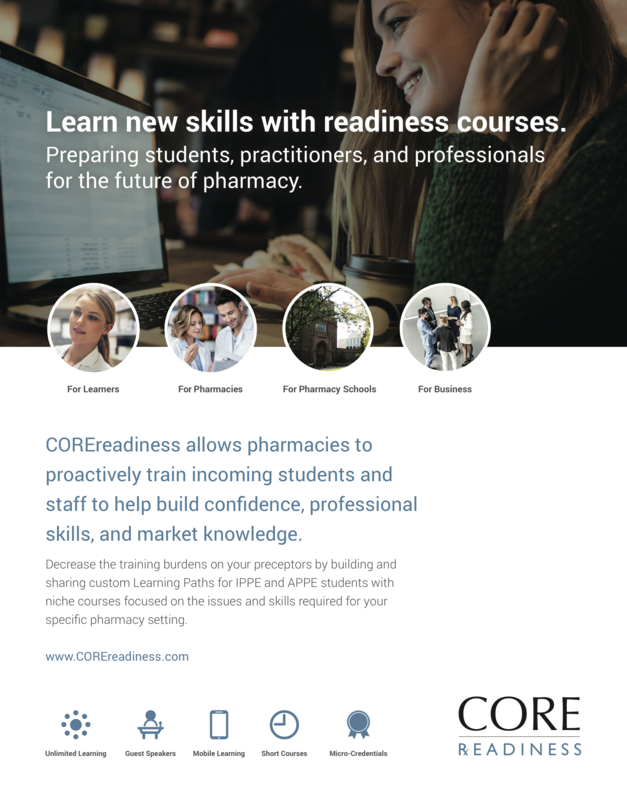 COREreadiness is an eLearning platform hosting an extensive library of courses dedicated to preparing healthcare students and practitioners for the workplace. 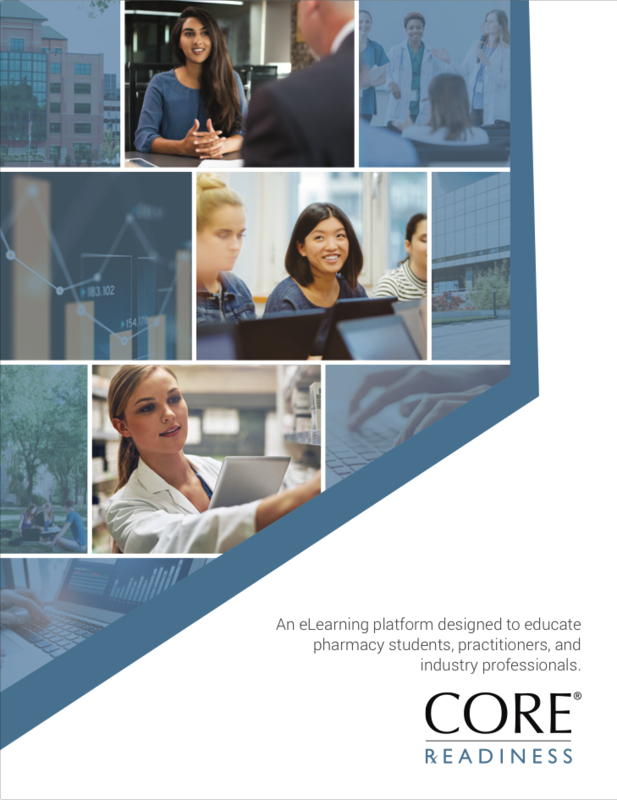 Our courses are comprised of engaging, multimedia content covering a variety of pharmacy and healthcare-specific subject matter. 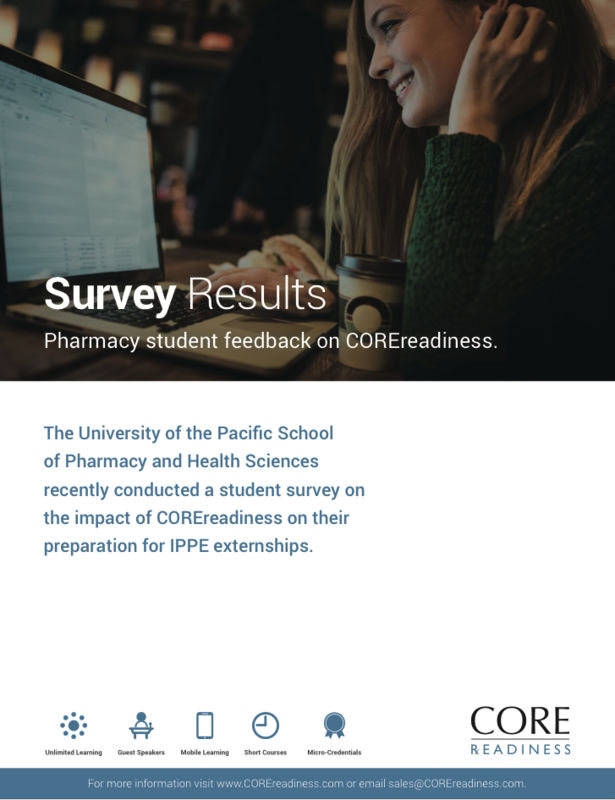 COREreadiness was founded through a partnership between CORE Higher Education Group and RXinsider. 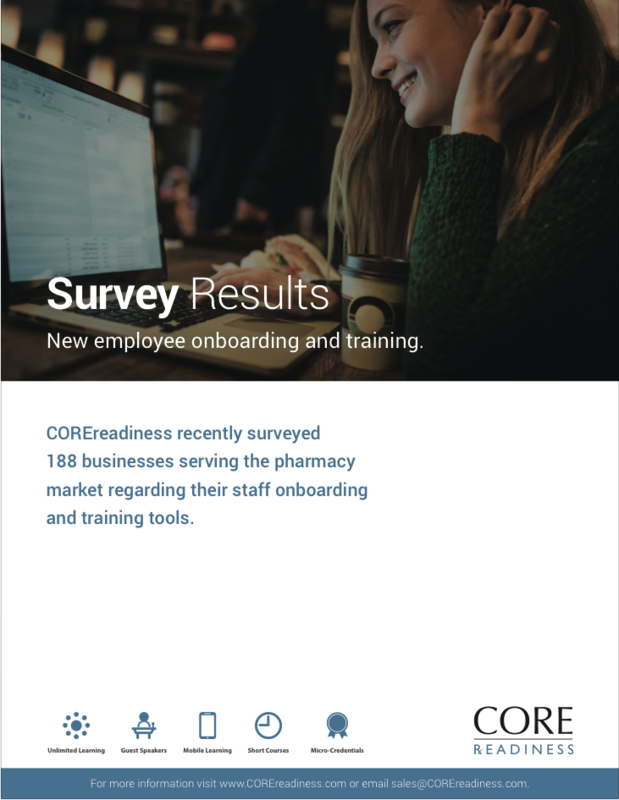 Feedback from the collective client base of these sister companies, combined with our deep knowledge and extensive experience in pharmacy, served to identify education and training needs for students and professionals entering the healthcare market. Our historic relationships and the resulting trust built over the past 20 years has enabled us to bring together schools, pharmacies, clinical settings, and businesses to develop educational content focused on helping prepare students and professionals for their professions. 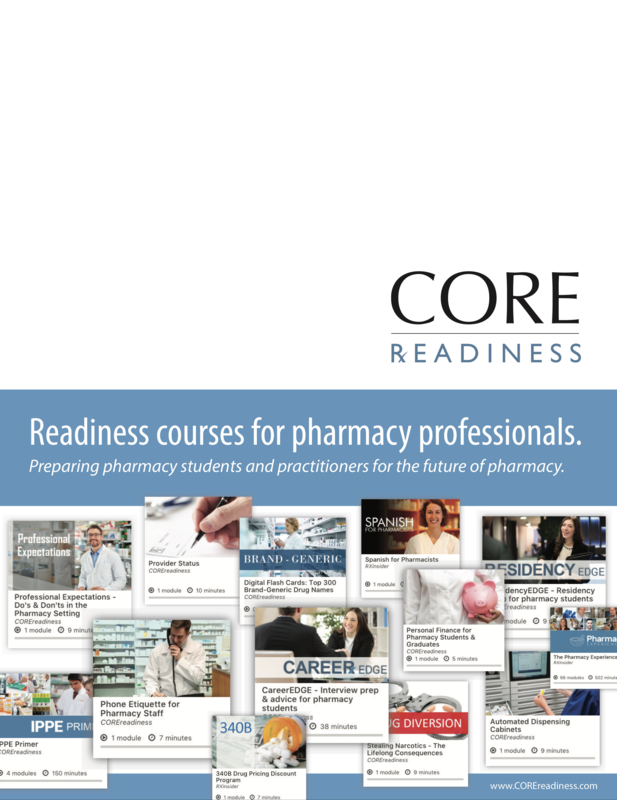 COREreadiness is currently a shared division between CORE Higher Education Group and RXinsider. Take as many courses as you wish and at your own pace. 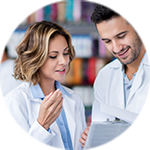 Learn from experts who are passionate about the future of pharmacy and healthcare. Access course content anywhere and at anytime from your mobile device with mobile-first design. Schools and preceptor sites develop themed “playlists” of courses to help keep you organized and focused on critical subject matter. 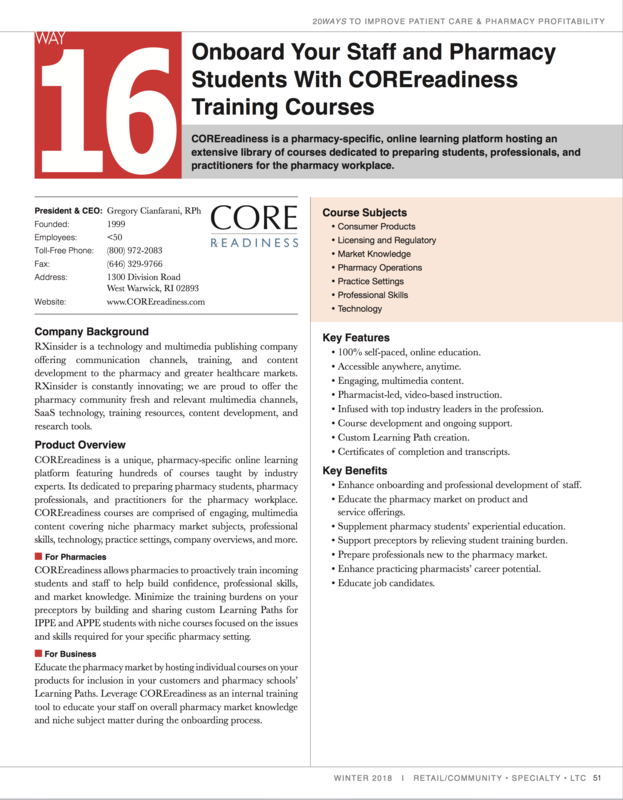 Courses are highly-focused and quick, to serve today’s learning styles and content delivery preferences. 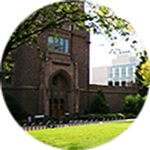 Sharable micro-credentials and online transcripts further develop your ePortfolio, LinkedIn Profile, and resume. Receive credit for competency through successful completion of online competency assessments. 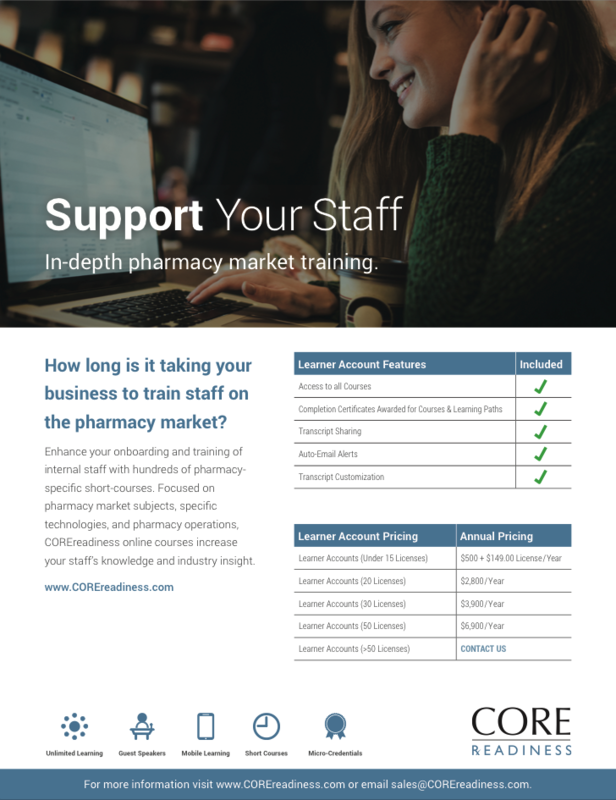 Stay up-to-date with course versioning in a continuously changing market. Deep analytics and artificial intelligence algorithms present content specific to your individual needs and interests.